On Saturday the No. 15/15 Quinnipiac Bobcats head to Hanover, New Hampshire to face the Dartmouth Big Green. 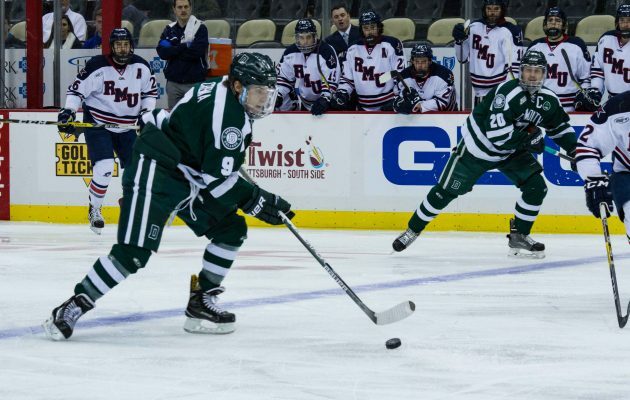 Bob Gaudet's Big Green squad has gotten off to a 5-6-3 start this year and finds itself 8th in the ECAC standings. The Big Green can hang its hat on playing well at Thompson Arena where they sport a 4-1-2 record there this season with solid wins over Michigan and New Hampshire. In the last five seasons, Quinnipiac is 3-2 at Thompson Arena and averaging over six goals per game in their wins there. Bob Gaudet's Dartmouth team is similar to past teams in that they are solid but unspectacular. They can play with teams on some nights and on other nights they struggle to make games competitive. 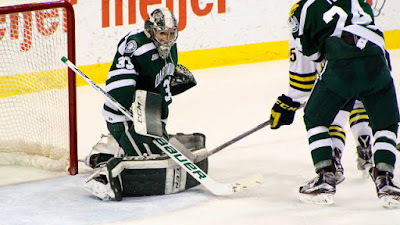 Quinnipiac needs to make it sure its the latter that happens in the game against the Big Green and not the former. Thirteen games into the Big Green season finds the offense in the bottom third of the country in scoring. They average 2.64 goals per game which ranks them 40th out of 60 Division I teams. Outside of three games where they scored a combined 15 goals, the goals per game drops in the other 11 games to two goals per game. Clearly they are struggling to find offensive consistency and goal scoring this season. They are a very young team up front with nine underclassmen seeing game action this year with seven of them freshman. The leading scorer is senior Troy Crema with 9 points (5 goals and 4 assists). Two other players each have five goals and they are both freshman in Cam Strong and Daniel Warpecha. A couple of other players to watch are juniors Corey Kalk and Carl Hesler who each have seven points. 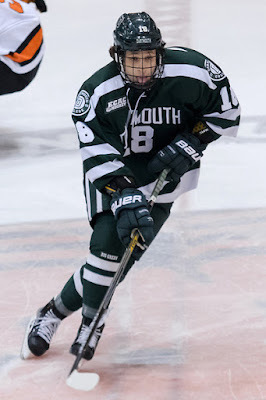 Dartmouth has the worst power play in the ECAC and second worst power play in the country converting at only 9.88% (8-of-81). With Quinnipiac being one of the best penalty killing teams in the country at 87%, I find it hard pressed to see Dartmouth getting many good looks on the power play. On defense the Big Green are giving up 3.08 goals per game which ranks them 37th in the country. This puts them in the average category. They have had a mixture of good games on defense with some mediocre and bad games as well. In five of the six Dartmouth losses they have given up four goals or more per game. Sophomore's Connor Yau and Cameron Roth have been two of their bette defenseman this season. They don't have a lot of high end talent on the blue line but they play a solid game at times. Dartmouth is a solid shot blocking team averaging 14 blocked shots per game. However they really struggle on the penalty kill ranking 53rd in the country at 77.1% (54-of-70). This is a place where Quinnipiac can really take advantage of one of the big weaknesses of the Big Green. 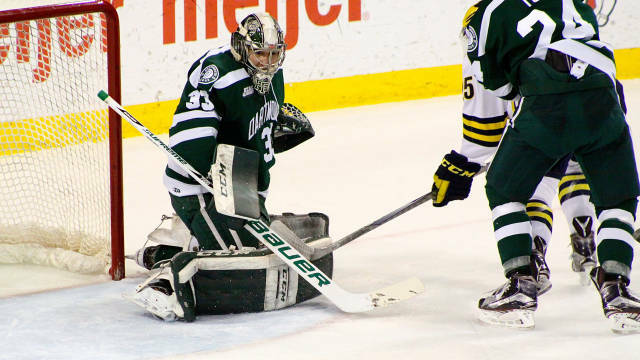 Quinnipiac will likely see junior Devin Buffalo in goal for the Big Green on Saturday. He gave up six goals last time but could have easily given up a lot more. He made 48 saves in the 6-3 loss back on November 11th. He was one of the big reasons why Dartmouth had a lead after the first period in that game in Hamden. Buffalo brings solid athleticism for his six foot two frame and the ability to keep the Big Green in games. That is all you can ask from him. On the season he is 5-6-3 with a 2.64 goals against average and a .912 save percentage. He boosts two shutouts this season back in the first week of November against Colgate and against Princeton a team that swept Quinnipiac this season. This is a must win game for Quinnipiac and not a game they can afford to drop due to pairwise implications. They are already below the cut line on the pairwise rankings and losses to teams in the middle of the pack of the pairwise will do nothing to improve Quinnipiac's at-large tournament hopes. Quinnipiac has the special teams advantage and talent advantage but they need to play harder than 75-80% they have been giving lately against any team if they expect to win.